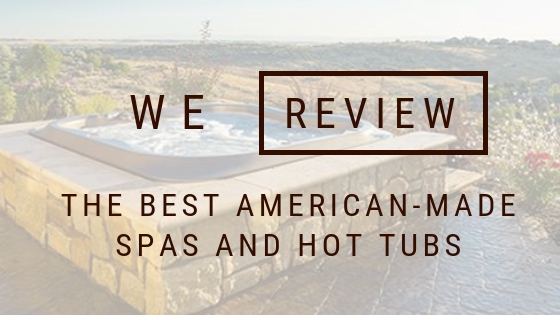 Today we review the best American-made spas and hot tubs. 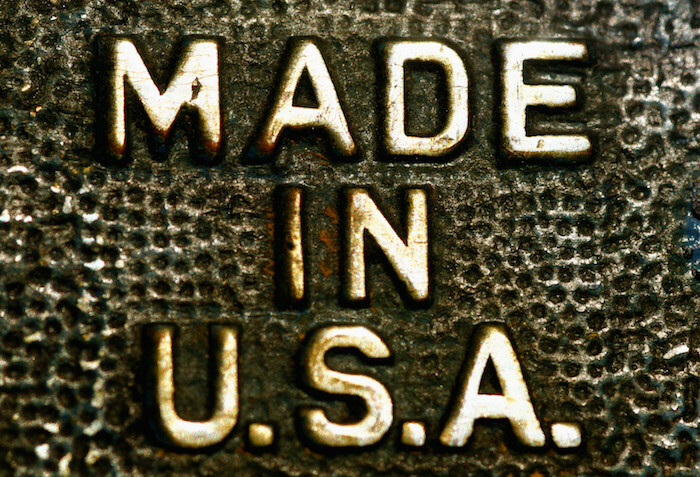 Some Americans prefer American-made products that are locally produced. They believe it’s contributing to the local economy while they’re getting a quality product. You’re making a tangible difference in your local economy when you’re purchasing products made locally. American-made products strengthens the US from the inside. Here are a few more reasons why people are buying products made in the US, and why you should do the same. When buying products made in the US, like spas and hot tubs, you’re helping to keep jobs in the states. This provides valuable jobs for future generations. It keeps jobs in the US, too. When more people buy American-made products, companies are less likely to send jobs overseas to be manufactured. There are regulations in the US that influence the way products are manufactured. 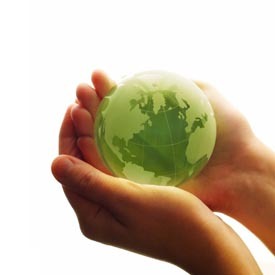 Processes are regulated at a higher level to ensure that it’s safe for consumers as well as the environment. That can’t be guaranteed when purchasing products from other countries. 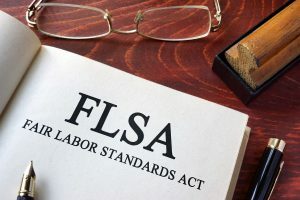 In the news, you’ll often see that foreign companies don’t have the strict labor laws that exist in the US. This results in unfair and unsafe working conditions in other countries. When your products are not made in America, you can’t know what the conditions were like for the workers. Most of the time, they work for pennies a day in poor environments. Workers in the US are paid a fair wage. They take pride in their work because they are creating quality products. The products don’t have to be imported from far lands, so they don’t go through a strenuous shipping process. While you might pay a little extra for a quality product, it’ll last longer than a product you will find in another country. 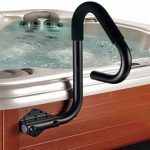 If you are looking for products made in the USA, we’ve done our research to gather together a list of spas and hot tubs made locally. 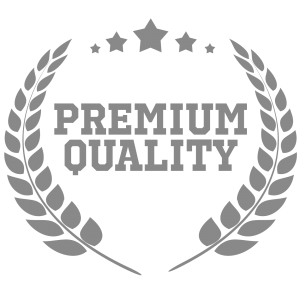 In some cases, the products are a bit more expensive, but that’s often because there’s a quality guarantee due to where it’s manufactured. 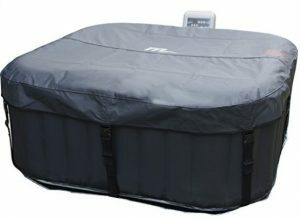 This inflatable hot tub has over 100 air jets that will send the right amount of pressure and bubbles over your body. It’s like a huge bubble bath with incredible heat to soothe sore muscles and relax your mind. It’s incredibly quiet, too. You’ll be able to invite friends over for conversation and not have to yell at each other over the motor. This is a reasonably priced product that’s created in the USA. 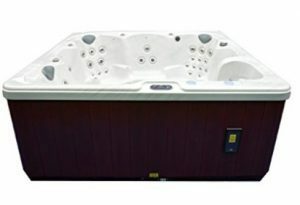 It’s a hot tub that has all the features you’ll need for relaxation at a great price for any budget. 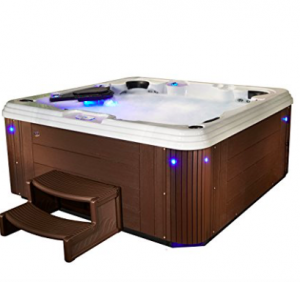 On this list, we’ve included a few price ranges and styles of hot tub. This one is a permanent structure that you’d need to install and leave. You’ll need to have the space since this is a substantial tub. It’ll seat up to 6 people quite comfortably. It’s insulated and needs it’s own dedicated electrical line for the heater and jets. This hot tub is a fiberglass wonder that will last for many years. You can spend every night relaxing in the spa as if you have an exclusive membership to a high-end salon or vacation getaway. This is a huge hot tub that will seat up to 7 people in your own backyard. 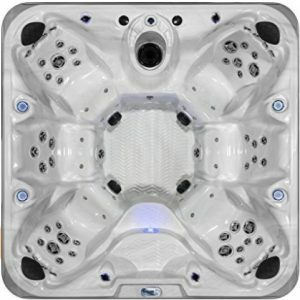 While some spas are personal and used for hydrotherapy, this one can be used during a party with your friends. There are almost 100 jets that will focus on certain parts of your body to ensure that you’re relaxed and soothe any pains. If you decide to soak in this tub alone, you have the choice of exactly the type of massage you want with the jets. The Captain’s chairs have powerful jets to melt away stress and soreness. The side chairs have less jets for when you’re trying to relax without the massage. This is a spa with a variety of therapeutic benefits. Some spas are for relaxing away mental stress, so you’ll feel like you’re on vacation every night. Others, like this one, are meant for intense hydrotherapy. The jets will work directly on sore, pained muscles and joints. The Decorum is a spa that will seat up to 6 people. Each person who sits in the hot tub will be able to focus on massage with up to 11 jets on each seat. The jets are a combination of air and hydro, so you can vary the amount of pressure you need. 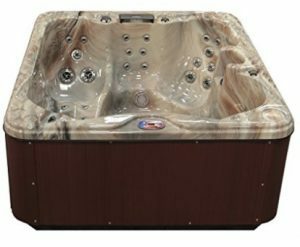 This is a hot tub that will allow you to sink deep into and enjoy up to your sore shoulders. 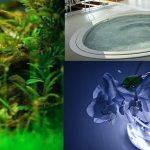 It’s constructed with quality materials like the ABS bottom liner and Shell-Loc for a spa that will last for years and years. Along with the deep seats, the spa comes with a titanium heater that will quickly heat the water to the desired temperature. It’s a whisper-quiet heater that won’t distract or be a problem when you’re enjoying the hot tub with your friends or significant other. American-made products have a standard of quality that’s not often available in products made in other countries. 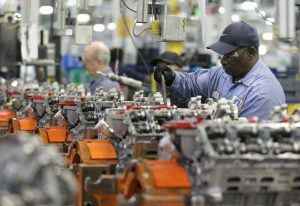 If you want to keep jobs in the US as well as generate to a local economy, you can do so with one of the products on this list. They have great, quality construction materials as well as quality control that might not be found in goods made outside the US, too.